Signing on behalf of the GOB was the Prime Minister Rt. Hon. Dean Barrow and for Microsoft, Mr. Angelo Chirico, General Manager, Microsoft Service, Latin America. Other esteemed guests present were Hon. Patrick Faber, Deputy Prime Minister and Minister of Education, Youth and Sports, Hon. Frank Mena, Minister of State for the Public Service, Energy and Public Utilities, Chief Executive Officers of the GOB, and members of the diplomatic corps. During the last Annual General Meeting of the Belize Chamber of Commerce and Industry in April of this year, Prime Minister Rt. Hon. Dean Barrow announced the GOB’s plan to combat government inefficiency and corruption using digital technology. 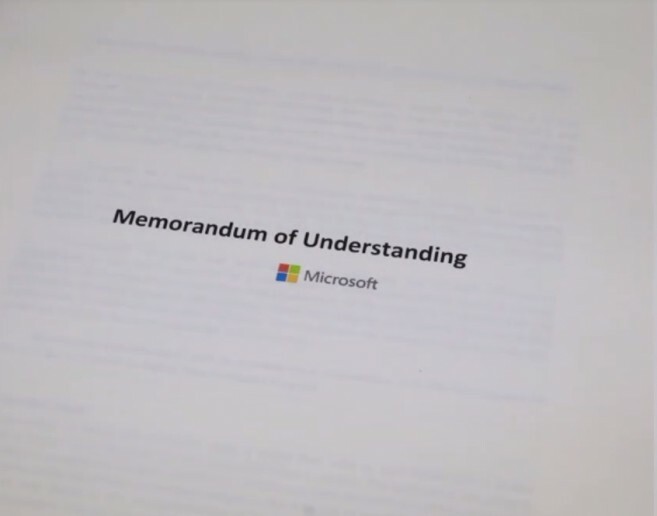 Microsoft intends to help the Central Information and Technology Office (CITO) develop and deliver on its National Digital Transformation Improvement plan by: consolidating all its existing agreements into one holistic agreement for improved control and better pricing, helping the CITO team towards developing and adopting a cloud strategy and policy, and deploying a solution that will provide a single platform for a more connect, cohesive, collaborative government. In his remarks, Prime Minister Barrow underscored the multiple benefits of e-governance and technology adoption to national development. He mentioned that the government’s digital agenda includes a re-engineering of processes and information communication systems in all areas of government; in particular those areas that will impact revenue collection and that will improve service delivery. 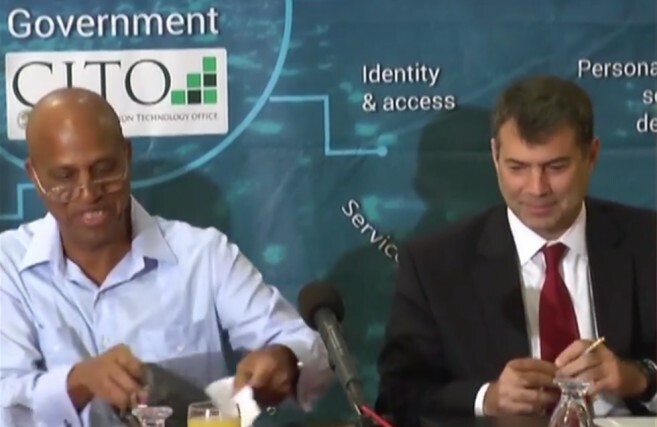 He also affirmed that the digital agenda calls for investment in upgrading the tools that power Belize’s network backbone, but most importantly, an improvement in the skills of Public Officers to adapt to this new way of doing business. Prime Minister Barrow also stated that Microsoft has described their efforts with Belize as a lighthouse of sorts. “This giant in technology and innovation recognizes that the effort that will be placed will translate into significant gains, not just in economic growth, but also in the expansion of our social agenda in things like education, social services and healthcare. Today we applaud their support and their interest in seeing Belize progress beyond other countries in the region in transforming our country into the future, and we look forward to becoming that true beacon of change in our region,” he said. Chirico stated that the signing of the MOU marked an important step in supporting the government in their digital transformation journey. “We see that more and more new technologies contribute to the competitive improvement of national productive industries. We hope to strengthen the economic transition process toward an economy based on knowledge and innovation,” said Chirico. 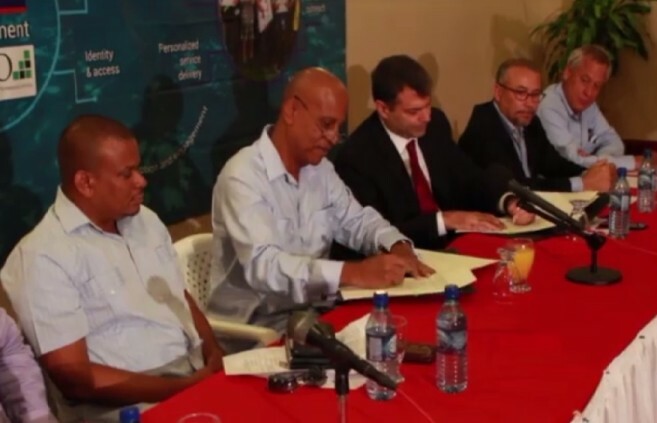 The MOU will lead to projects aimed at making Belize more competitive in the global scale of economies. The relationship will help Belize to attract new investors to do business that will increase the global and regional index in the ease of doing business in Belize. The MOU will also assist in making these services more accessible to Belizeans who live abroad.